Stainless crates in our Isolation (ISO) room. 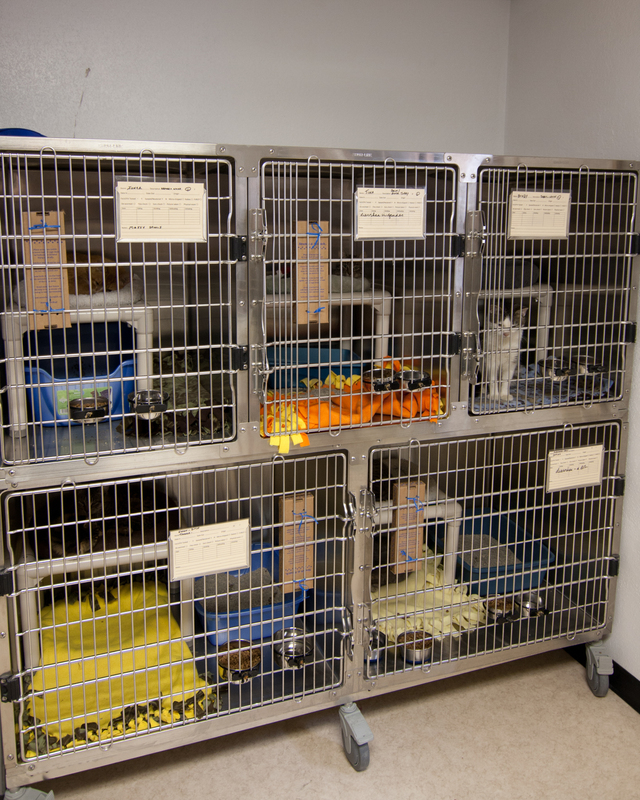 When cats are admitted, they need to spend a few days here while their health is checked and they get their vaccinations. Once they are cleared to join the others, they are introduced to a colony room. Cats that are sick or recovering from medical procedures can also stay here.